The corrosion proof Wide Spray alloy ATV boom is for the budget minded user. It uses a quick fit system and can be attached to your ATV in seconds. 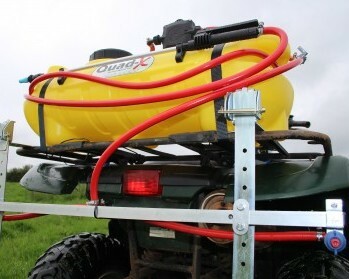 The Widespray Boom is available in 6ft8 (2m) and 12ft (3.6m) spray widths.